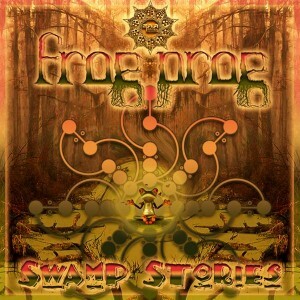 Ukrainian producer Shiva3 (Andrey Averin) makes his debut as Frog Prog with Swamp Stories, released on Maia Brasil Records. This project is an experiment wherein minimalist progressive psytrance is infused with absolutely all of the vivid colors of the spectrum. Drawing heavily from a forest music sound palette, Frog Prog aims to bring us deep into hypnosis with the slower rhythms of the swamp and the chants of nature. This music has been created with an open heart and, as such, is given as a gift to the whole world. MP3 Download | FLAC Download | WAV Download · Download count: 11,341. I’ve only listened to the first track so far but this is really good. Really digging this, so different from a lot of other prog. Great work on the creativity and production! Really enjoying this album Thank you. Nice diversity in these 4 tracks. Lost faith in progressive recovered.